A furniture store was destroyed in a fire Saturday evening on Milwaukee’s south side. 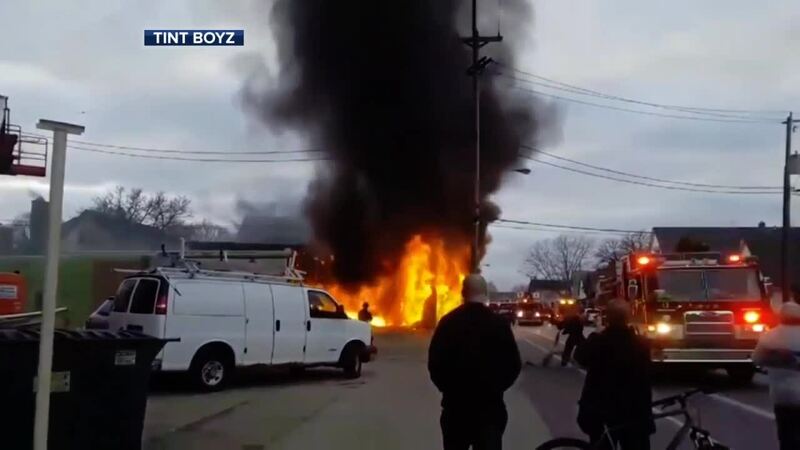 MILWAUKEE -- A furniture store was destroyed in a fire Saturday evening on Milwaukee’s south side. 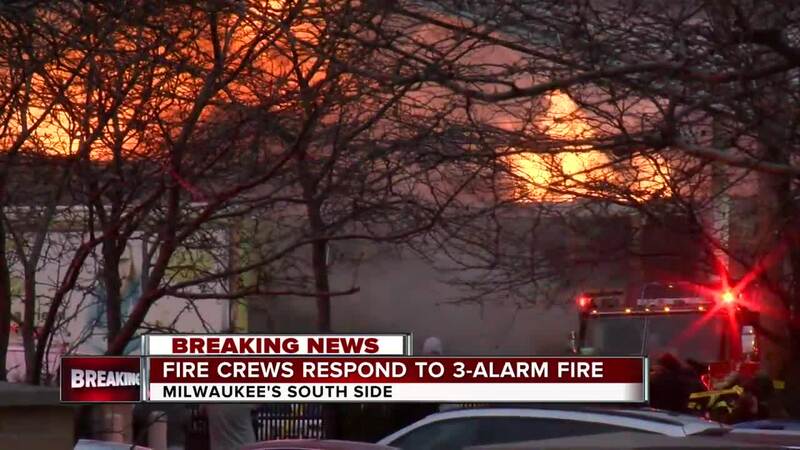 The Milwaukee Fire Department said it started at about 7 p.m. at the Furniture Depot on Lincoln Avenue by S. 26th St.
Police said the fire spread to neighboring businesses. It also caused water damage at a two-family home next door. Amber Szymakowski said she just moved into the first floor apartment with her boyfriend and three kids at the beginning of the month. She was about to head out when she heard crackling and saw smoke coming from the Furniture Depot. Moments later, she watched a man run out of the store, screaming that his dad was inside. “I don’t have much for words. I just hope nobody was in there and everybody’s okay and they can get their business back up and running,” Szymakowski said. A cause remains under investigation.